The founder of the Oakland-based 1000 Mothers announced Wednesday the availability of a new free app for iPhone and Android that will allow users to notify help whenever a dangerous situation arises on inner city streets. 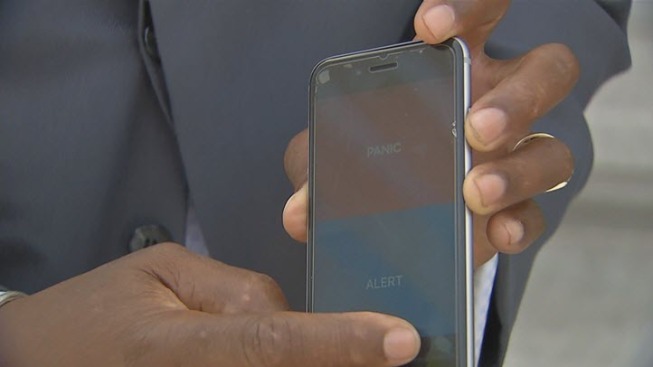 The new app is used by simply pushing either an alert or panic button. "When you push one of those buttons, audio, video, GPS, everything is launched," said Kevin McGary with MySafety Tech. "Your entire family or your entire safety net of people are immediately notified of your exact location at that very second. They also receive a complete video footage of what happened during that altercation. And it's all cloud based." Developers said since the app is cloud based, if someone does harm to the user or take their phone everything will be already backed up and stored. 1000 Mothers is a support organization for the mothers and other survivors left behind after the deaths of victims of inner city gun violence. The organization was founded by Lorrain Taylor after her two twin boys were killed in on the streets of Oakland.